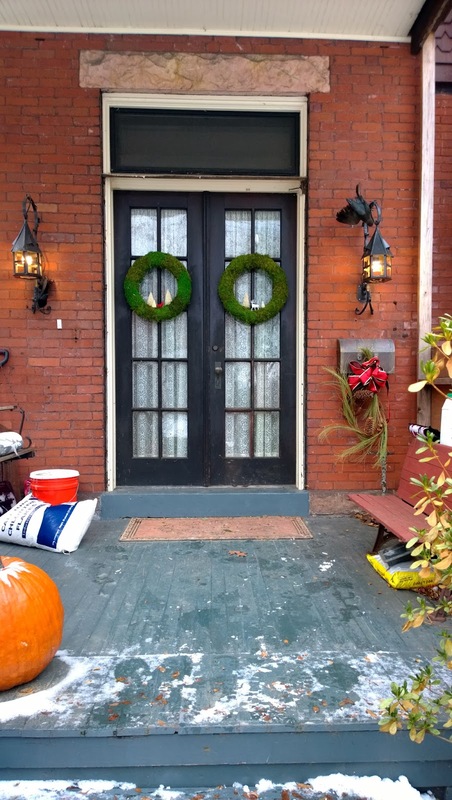 We're still sick over here, wading through not yet unpacked suitcases, dirty dishes and an explosion of Christmas accouterments I have no desire to deal with. In a desperate bid for holiday cheer we did buy and mostly decorate our tree, but the Christmas spirit has been no match for the plague, or whatever evil germs we're incubating. To be perfectly honest, I didn't come up with this - the original image is here, but mine has a fox. So there! 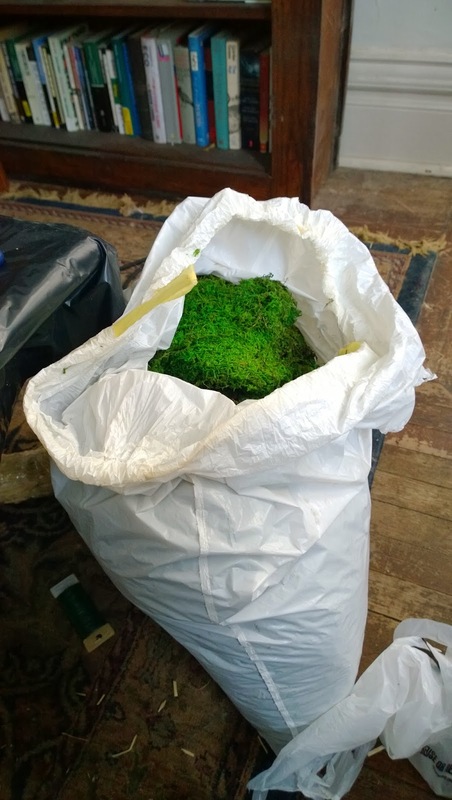 I had thought this would be a fairly cheap project, and the expensive main ingredient, the moss, I had in spades, left over from making my wedding centerpieces 4 years ago. 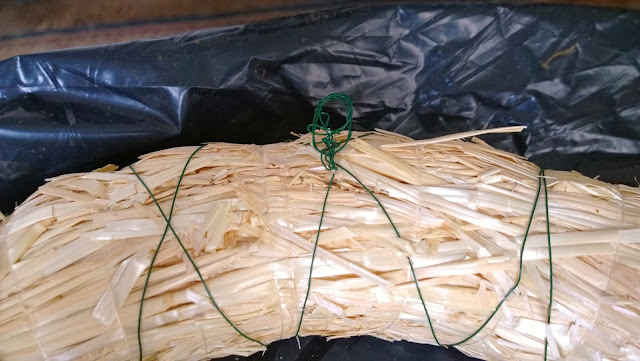 Getting rid of that trashbag full of moss *may* have been one of the reasons I decided to make these, and on that account it was a failure, as I still have enough to make about 100 more. 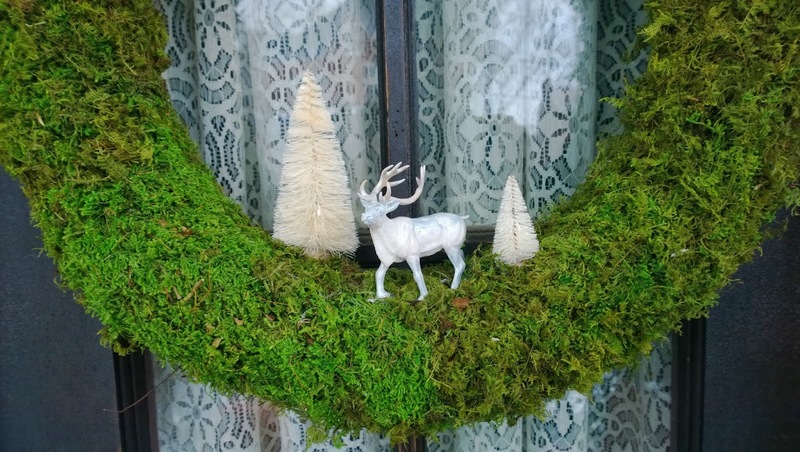 If you'd like to make these for yourself though, you'll need a lot of natural sheet moss (a few different types is best), a wreath form (I used the cheapest straw one I could find), floral wire, a glue gun, fake miniature trees, and woodland creatures of your choice. I ended up buying everything but the trees from Michaels using 40% coupons, but I had to go to Joann's for the the trees. 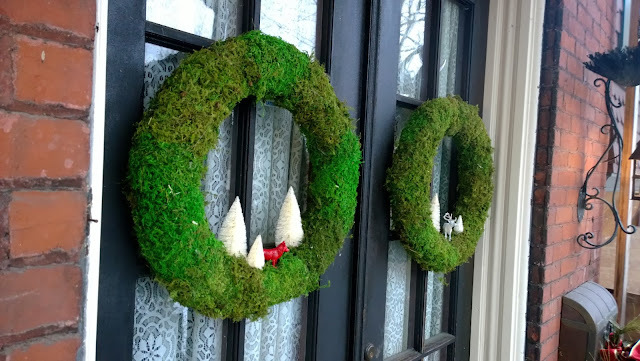 For the moss, the cheapest way to get it may be online in bulk from a floral supply company (that's how I bought mine). I wrapped the wreaths with the floral wire because they seemed to want to decompose in my hand, I made a hanging loop at the same time. 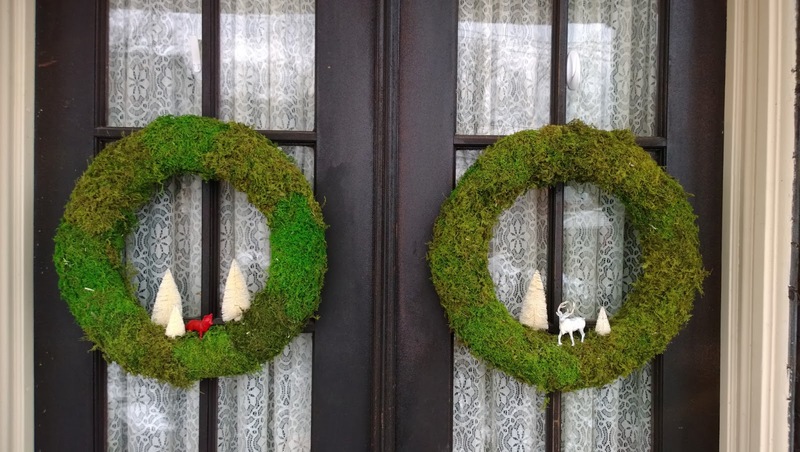 Then lean the wreath upright (loop at the top) against something, and play with the placement of whatever it is you want to live on it. 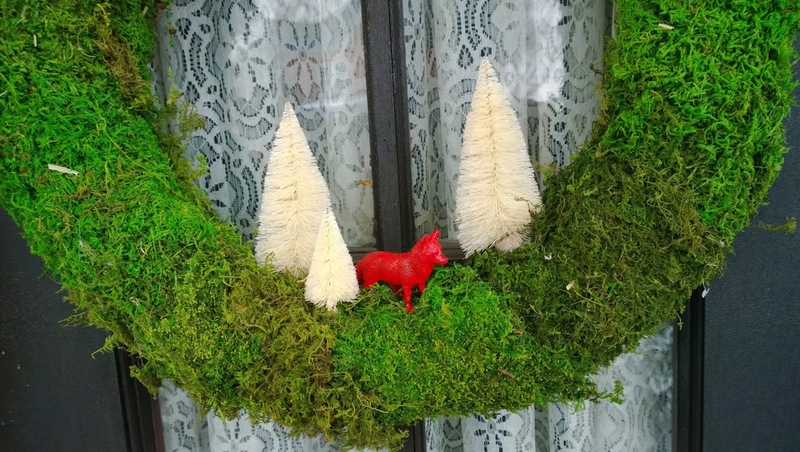 I chose to paint my critters with a few coats of modeling paint so the wreath didn't end up looking too much like a middle-schooler's diorama. When you know where you want to glue them on push away some of the moss and apply a big dollop of glue, place the object and hold in place for at least a minute before moving on to the next one. While this was all quite straightforward, what I didn't anticipate was my dog peering over my shoulder to see what I was doing (I was on the floor using the coffee table) and letting loose an enormous sneeze which scattered moss bits throughout every corner of the room. I suppose that will be what spring cleaning is for. Seriously though, I hope you're feeling better soon and are able to enjoy the holidays! 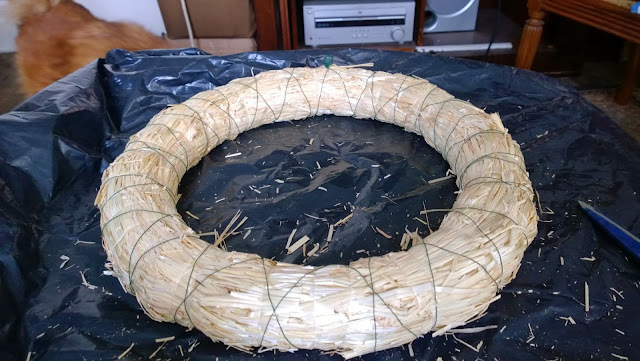 This entire project of wreath making was quite interesting.Love the way you do your work with full of passion and dedication.Hoping to see such creativity in future as well.